I had been married to my ex for about 6 or 7 years by now. I was truly under his control, all though no one thought so at the time, especially me. Foolish me. Anyway, his parents had heard me talk about Wisconsin and how beautiful it was in the fall, with the leaves changing. My ex and his parents were from Texas. They had never been to Wisconsin before, so they got it in their heads that they wanted to go. They also wanted my ex and I to go with them. A road trip! With my in-laws and my ex. A 2400 mile, round trip, road trip. In a smallish car. With my ex and his parents. Shudder…...Still gives me nightmares. Like I said, they wanted to see the colors of upper Wisconsin in September. September is also my birthday month. So they thought they would give me a grand birthday present and we would all go to Wisconsin, rent a cabin in the woods on a lake and enjoy a full week of relaxation and beautiful colors. I hadn’t been home in about 8 years, so I would also get to see my sister and my parents, as the cabin we were renting was not far from where they lived. I was happy! It started out great. We got an early start and the weather was wonderful. So off we went! The first day was good. We drove with a few bathroom breaks and a lunch break. As soon as it started to get dark my in-laws insisted we find a motel. They hated traveling in the dark. No problem. We found a nice, clean, cheap motel and rented rooms for the night. We had dinner at the attached, fast food joint. It was a Hardee’s, remember that folks, as it comes into play during my story. The next morning, nice and early, we get gas and are on the road again, after breakfast of course. At Hardee’s. 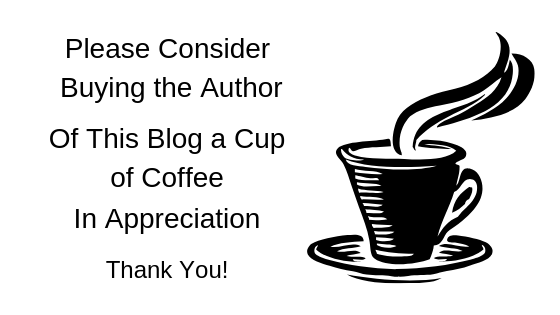 I had a nice strong cup of coffee, I was good to go. We travel a few hours, all was pleasant. Then my father-in-law (FIL) got into an argument with my ex. My ex was driving. My FIL thought he was driving too fast. They argued. Now let me clarify one thing. My FIL was a very argumentative man. He was a good man in many ways, but he would argue about just about anything. You could say the sun was yellow and hot, he would argue that it was more beige and that it was not just hot, it was hellish hot. Then he would go off on a tangent. So for an hour or more they argued, with voices getting louder, language getting saltier. And neither one wanted to back down. The argument went off as they usually did with my FIL to other things. My mother-in-law (MIL) trying to calm the waters, I am just trying to tune it all out. And it’s not working. Finally, it’s lunch time and my FIL demanded that my ex find someplace to eat. We were on the highway, in the middle of nowhere it seemed. Finally, my FIL spots a sign saying there was a turnoff coming up with restaurants. So he yells at the ex to turn off so he could get fed. My FIL was one that had to be fed 3 times a day. He hated to miss a meal and became quite irritated if he did. He told my ex to stop at Hardee’s. So this went on for several days. My ex and his dad would take turns driving. Sometimes we would stop off and see the sights, most times we only stopped to eat or go to the bathroom. My FIL believed a holiday was only a good one if you put in as many miles as you could every day. They drove, argued and we stopped at Hardee’s to eat. Every. Single. Day. Finally we reach our destination of Upper Wisconsin. It’s gorgeous. Wisconsin truly put on her best colors for us that September. It was close to my birthday (the 12th) and the weather, though cool was sunny and beautiful. We empty out the car and explore our cabin. It’s great, has two bedrooms, a living room and a kitchen, the bathroom was small but usable. I thought as far as cabins go, it was really nice for the price. It sat close to a beautiful lake and we even had a boat to use if we wanted to. Now, remember I said we were suppose to stay a week? Yes, we were, and we were suppose to meet my parents so I could introduce them to my in-laws. Now my parents are laid back people who like their beer now and again. Nothing wrong with that. The bars up in Wisconsin are pretty family friendly. I didn’t think nothing of meeting my parents in a bar. I practically grew up in one. My in-laws were not tea totallers by any means, so again I thought nothing of meeting my parents in the bar. Neutral territory I figured. All good. Right? Um, no, apparently not. The in-laws knew days before that, that we would be going to a bar to meet my parents, they never said a word. Till the time we drove up to the bar and my in-laws refused to get out of the car. Their reason? They didn’t go to bars. They didn’t think it was ‘respectable’ to meet my parents there. So nope, they weren’t going in. I was dumbfounded! Why didn’t they say something before this? So I was determined to see my parents. I hadn’t seen them in a lot of years. I was looking forward to seeing them again. So my ex and I went inside, the in-laws went for a drive and said they would be back in an hour to pick us up. I was so upset. An hour? After years of being away?? There had been enough fighting and screaming and crap during the drive up, I wasn’t going to add to it, so I let it go. I had a great visit with my parents, in the bar. After an hour we hear a car horn outside. Yup, there are my in-laws beeping the horn for us. I tried to explain to my parents the reasoning of my in-laws not coming in to meet them. It didn’t go over very well, all though my parents didn’t say anything directly to me. We go out and I’m pissed off. Majorly pissed off. I get in the car and hardly say a word. We go for a country drive. Find a place to eat dinner, as my FIL is run by his stomach. At least there was no Hardee’s in sight. To this day I can’t stand to eat at Hardee’s. I get over my mad, sort of, and we have a nice day driving around and taking tons of pictures of the wonderful fall colors. All is good, or so I thought. We get to the cabin and settle in for the night. No hurry, I thought, we got all week. The in-laws can meet the parents later that week. I was going to invite them to the cabin, maybe even cook dinner for them. No bars, just a nice evening together. We all go to bed early, as it had been a long day. The next morning I am woken up by voices in the kitchen. My ex and his parents are all ready up and drinking coffee at the kitchen table. I decide to lay there for a bit, enjoying having the bed to myself, and listen to what they are planning for the day. The next thing I hear is my name. It’s my MIL. What??!!! Bus money?? To go home by myself on the bus??? My ex, of course, wasn’t about to let me stay here by myself. I might decide NOT to go home to Texas again, he couldn’t have that. By then I was so angry I was seeing red. How dare they! Wait a minute….they are who they are, of course they would do something crappy like this. I get up, put on my robe, making noise so they hear me and go out to see if they would say something to my face. Nope, they don’t. They are all ‘good morning’ and smiles. I wait, I get my coffee, sit down and wait. Nothing. Crickets could have been heard. To make a very long story shorter. They left the cabin, my ex told me what was going on. We fight. I was going to stay there, to hell with them. In the back of my mind, I figured, if they leave me there, I wouldn’t go back. The ex wouldn’t have it. Either we both stayed, or we both left with his parents. The in-laws came back and put their 2 cents in. Between the in-laws and my ex, they beat me down enough emotionally that I just gave up and gave in. We packed the car that day and left. I didn’t even get to explain to my parents why. One thing they did do, which they did promise to do, is we stopped in Milwaukee so I could visit my favorite Aunt for a few hours. They of course didn’t come in, my ex came with me. We had a great few hours together, then there were my in-laws beeping their damn car horn again. We went the long way home, unfortunately. My ex and FIL arguing all the way back, me stewing in the back seat, my MIL trying to please everyone. It was the most gruelling, nerve-wracking road trip I ever was on. I never repeated it. And apparently never got over it. Wow. Do you still go on road trips, or did they totally ruin it for you? I still enjoy road trips, but I’m very picky about who I go with. Ugh. 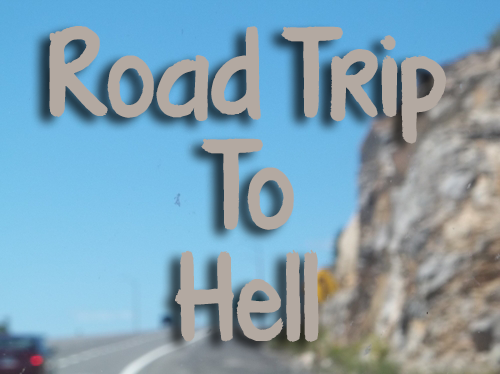 that really does sound like the road trip to hell. It was Fishy, I left some stuff out even. So yeah, it really was. Yowsa and yikes. This is why I like to take road trips solo. Meet the people there but have a quick way to escape alone if I need to, not having to worry about someone else. Not that I have done that or anything. Taking road trips aren’t too bad if you are going with someone fun, like if we went together. lol with in-laws. no! Damn that sounds harsh. Glad he’s an ex. I’m with you on Hardee’s. My dad loved to eat there too. I can’t imagine a road trip like that. You weren’t just on a road trip to hell, you were in hell where ever you were with that bunch. I liked traveling with my dog. She was a trouper and no grousing. Best traveling companion I ever had. My ex liked to put it straight through too. No checking out the sights but I had more control because I did most of the driving. :)))) We ate where I wanted to stop most of the time. Not a fast food junky. Glad you are done with them but the memories are in your cells forever. I’m sorry Jackie you had to go through this, and other similar things I’m sure as well. Glad you’re done with it, and I hope there are no Hardee’s where you live to remind you…You’re strong, lady! HUGS! Nope, no Hardees here. I lived through them all. That’s my revenge. 😉 Big hugs to you my friend. I would still be stewing on that whenever I thought about it years later too! Often it’s the situations where things have been unfair that we find the hardest to get over – their behaviour to you was totally unfair. Also, they said it wasn’t respectable to meet your parents in a bar, and yet how rude to back out of the arrangement at the last minute like they did! Rude to your parents, and embarrassing and awkward for you, not to mention the short amount of time they let you have with them! I’m furious now too! 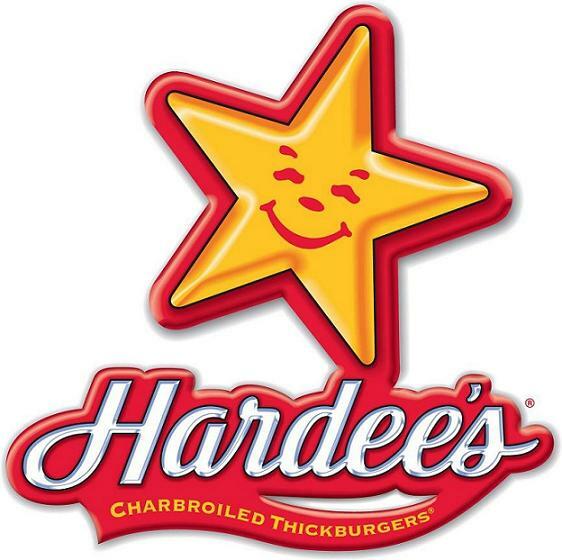 Also meant to ask, is Hardees the same thing as Carl’s Jr. hamburgers? The logo looks the same. Thanks Vanessa. I do sometimes still get angry. And it’s been years. But that is how they were. And I do believe Hardees and Carl Jr’s are the same, they had to change their name in some countries. It must have been really buried! LOL Yes, there were pretty selfish people. All in the past now, thank goodness.